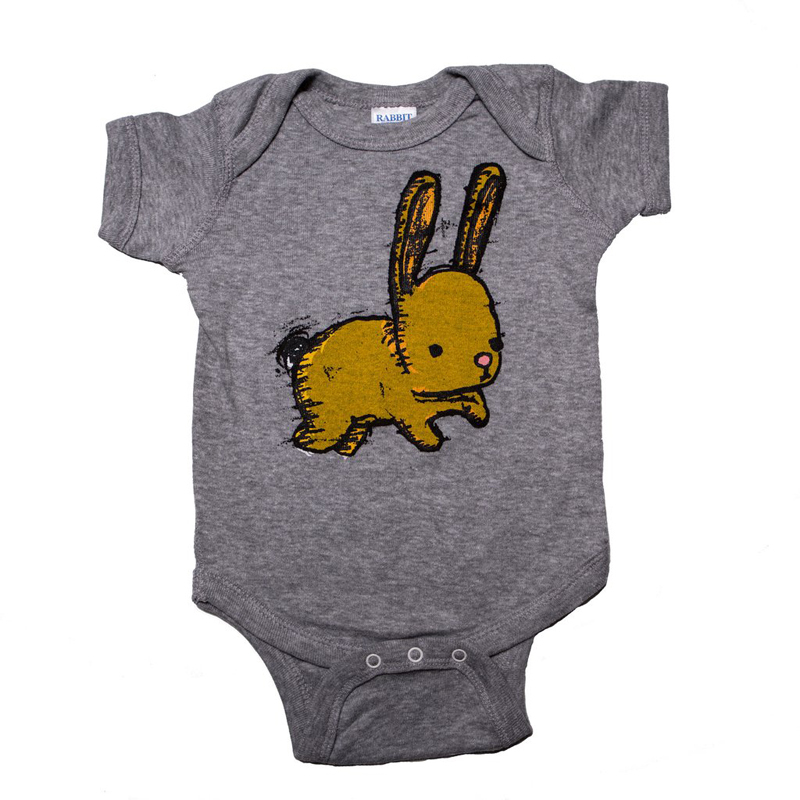 This bodysuit features a hand drawn, original illustration of a sweet little bunny. 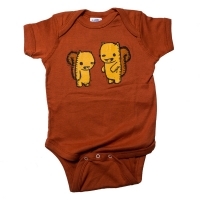 The image has been hand silk screened in yellow, pink, and black ink onto a gray Rabbit Skins bodysuit (100% cotton). 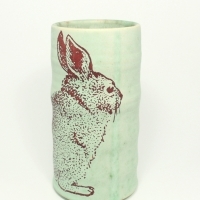 The designs are heat set after printing to insure durability.